"Mother Veldkamp," as it says on her grave, owned the Dom Café Veldkamp at the Hamburg Winter Fair, which was well known about the borders of Hamburg. Even her grandmother Jantje, who was a native of Groningen, came from this sector. In 1821 she founded a candies factory in Groningen and later, when she had moved to Hamburg in the early 19th century, a cafe on the "Dom" (free market, fair) at the goose market. 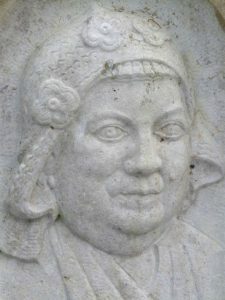 This she bequeathed to her daughter, the mother of Anna Wilhelmine, who opened a Dom-Café on the "Holy Spirit Field" later, which then in turn her daughter Anna Wilhelmine inherited. Anna Wilhelmine married in 1900 the employed confectioner, with whom she had three sons (1901: August, 1903 Jan; 1904: Willi). Under her successful leadership the small Dom-Café was enlarged to a 1,200-seat containing coffee house. While a band played and 42 waiters and waitresses satisfied the cake and coffee wishes of the guests, "Mother Veldkamp" sat like a matron behind the cash register and controlled the smooth running of the service. On her head she wore a gold-embroidered Dutch hood, inherited from her grandmother, which included a Brussels lace cloth, whose edges were occupied with diamonds. In this presentation "Mother Veldkamp" caught immediately all guest's eyes. The hood was "Mother Veldkamps" trademark. Her portrait with hood, arranged from many thousands of flashing light bulbs, was an advertisement for their café. It was emblazoned high up in the air on a tower, which was built on the outer wall of the café. And on her grave stone, the portrait with her hood is to seen too. During the winter fair, the Dom-Café belonged to the Hamburg orphans for a day. Then the café was closed for the other Dom visitors and "Mother Veldkamp" let the orphans be catered with hot chocolate and donuts and gave them small gifts of money. 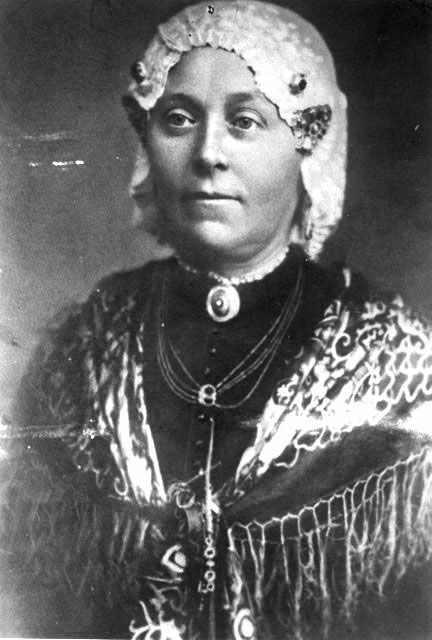 Because of this charity Anna Wilhelmine Catharina Veldkamp was called "Mother Veldkamp". After the beginning of World War II there was no more fair held because of the air raids. 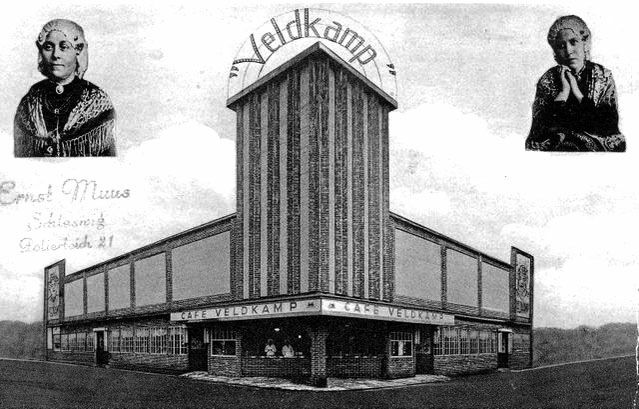 In 1940 "Mother Veldkamp" her place in items together laid café in warehouses. In the night of the 24th to the 25th July 1943, the warehouses and the private apartment of the Veldkamps were destroyed by bombs. Mother Veldkamp moved together with her husband to her son Jan, who lived alone on the first floor in the Anne Street 32. His wife Emmi Veldkamp born Schill (03/01/1907 - 14/12/1944) was arrested for "receiving stolen goods of 1000 food ration cards" and was sentenced to death. Mother Veldkamp who had a heart condition for some time, died on the evening before the execution of her daughter-in-law, whose death sentence was carried out on the morning of 14/12/1944 at the remand prison of Holstenglacis. Father and son achieved that the corpse of the executed was released. Hamburg orphans guided with lighted candles in their hands the coffin of Mother Veldkamps to the tomb.Three years later, the grave stone was erected at the grave. Free shipping on orders over 20 Euro.